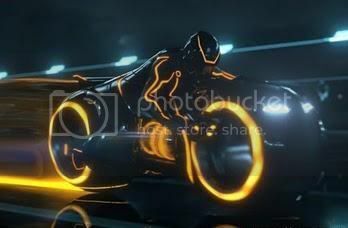 I've been following this for a while, not sure yet if it will incorporate elements from the first Tron or if they will focus more on Legacy but it means that Tron will be making it's way back to arcades after a long hiatus. I'm excited, I may get one for my own arcade unless they really screw the game up. RE: New TRON Pinball machine! TRON.dll Wrote:Sweet, I love Stern's pinball games. A local restaurant has their Dark Knight pinball game and it's freaking awesome. Also a pretty big fan of their Roller Coaster Tycoon game. I don't think they'll mess this up. challenged and causal players have fun. Operators are making money. 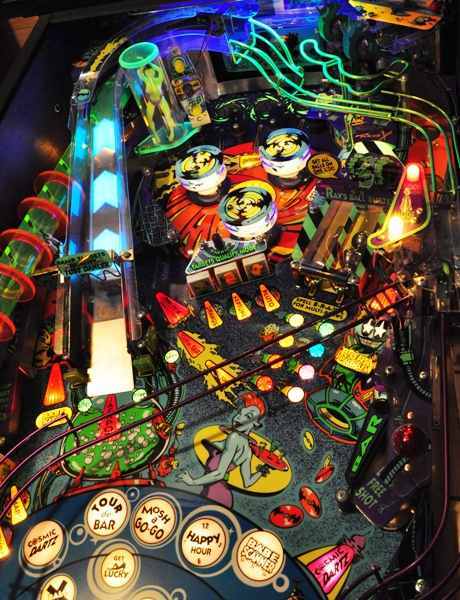 is from movie and perfect for pinball. We have been playing TRON, and we are really having fun. will make a TRON Limited Edition version in late June. Hopefully this turns out to be something special. It sounds like it will be a lot of fun to play. Pictures! Looks better than some of Sterns other recent efforts and it has a mini-Tron arcade machine! I'm glad someone noticed that the pinball machine was even out there, being a pinball fanatic myself. It will be at the Northwest Pinball and Gameroom Show at the Seattle Center June 3.5 and also at the California Extreme pinball show. Stern would be making a big mistake not to market it now with more potential buyers than anywhere else, and the Pacific Pinball Expo in September is WAAAAY too late, especially with Jersey Jack's upcoming Wizard Of Oz debut machine. Programming is a lot like pinball, actually. The reward for doing it well is the opportunity to do it again. Hooray for Big Bang Bar! Where did you spot that table? I've only ever seen two, one in Minnesota (SS Billiards in Hopkins) and a collector's house in Redmond. TRON.dll: Nice to meet a fellow pinhead here! Remember when pinball and The Grid were totally separate entities? I understand the LE version will have the EL wiring as all the common TRON colors can be represented. Perhaps it requires more hardware support then they have time for, or perhaps it's Gary Stern being a cheapskate again. That'll have to stop if they want Steve Ritchie to stay on!